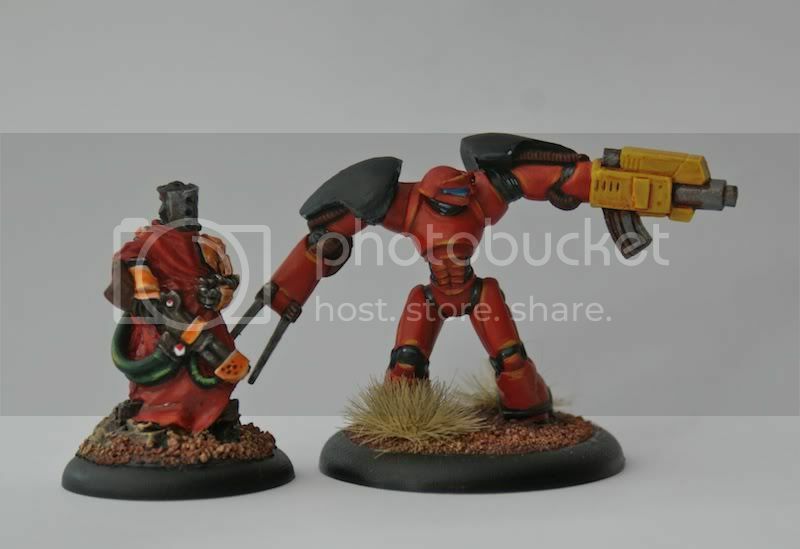 I am busily putting together an Adeptus Mechanicus warband from the bits and bobs I have kicking around my bits box! Neither are actually GW but what the hey! I have loads more bits and bobs kicking around and will be building a lot of 2nd edition 40k era warbands as time allows! 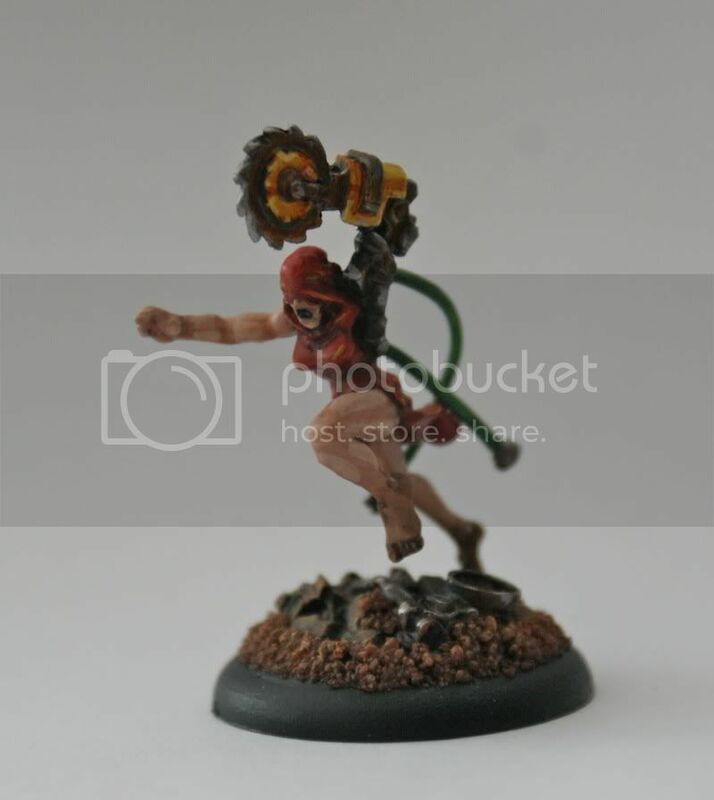 Heres another member of the retinue, this time a pit slave! The iKore figs fit in surprisingly well. Very nice work!